Shri Group offers Shri Radha Sky Park - a new Residential project in sector-16 B, Noida Extension Greater Noida West offers 1 BHK, 2 BHK, and 3 BHK luxurious flats. Shri Group is known for offering the best residential projects that have its own standard. the residential Project of Shri Group is the perfect mixture of contemporary building, green atmosphere and impressive landscaping to form residential living spaces. Shri Group values the demand of the people who make an investment in their home project and expect the outstanding living area, facilities, and best amenities at the affordable prices. 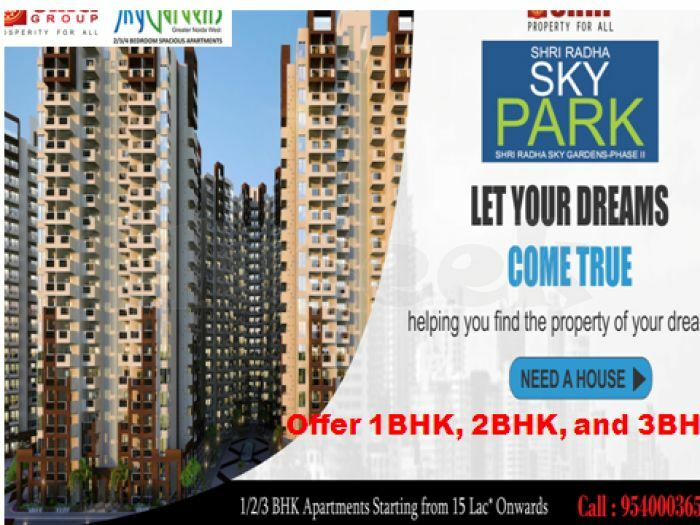 So that Shri Radha Sky Park Price starts from 18 Lacs* designed by one of the best real estate builders in India, one can choose the apartments from sizes starting from 570 square foot to 1,095 square foot. All the apartments are well-Designed and have the good arrangement of natural lighting.